The Blu Room® at Spa Celeste, Mercer Island. 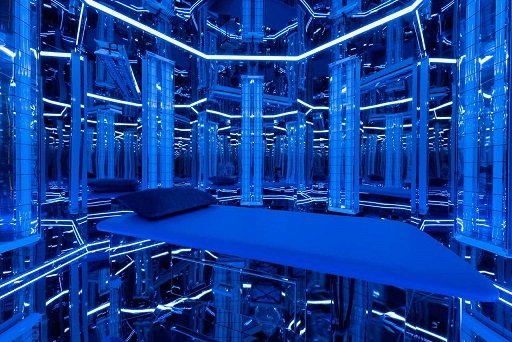 “The “Blu Room” at Spa Celeste looks like a room in a space ship, said owner Susan Janus, but she and other users say that 20-minute sessions in the room are deeply relaxing.” Photo courtesy: Susan Janus, Spa Celeste. Patents are still pending in 10 other countries that have Blu Room® operations. Click here to read the Patent details. Click here for more information about to the Blu Room®. – The Blu Room® is open to the public at Puget Sound locations in Yelm, Olympia, Mercer Island. * In Yelm at Ramtha’s School of Enlightenment (RSE). * In Yelm at The U Wellness Center. * In Olympia at the Absolute Health Clinic. * In Mercer Island at Spa Celeste. * The Blu Room® is recommended as an alternative therapy for PTSD. * The Blu Room® technology was founded by Yelm’s JZ Knight. * Some people with PTSD have greatly benefited from Blu Room® sessions. * VA Head Dr. Shulkin: the VA needs to go outside for private enterprise solutions, treatments. Click here for more information about the Blu Room®. 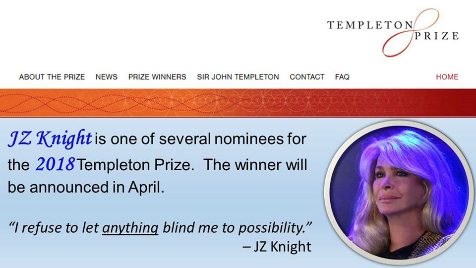 – What is The Templeton Prize?